I hate this time of year, it does nothing for me or my hair. 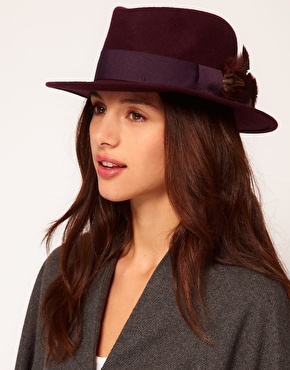 I often see women looking so good in hats, but when I try them on it does something very strange to me – I look weird and have yet to find a style that really suits me. I have the beanie, the trilby and the good old fashioned bobble hat but I look like a simpleton in all of them. 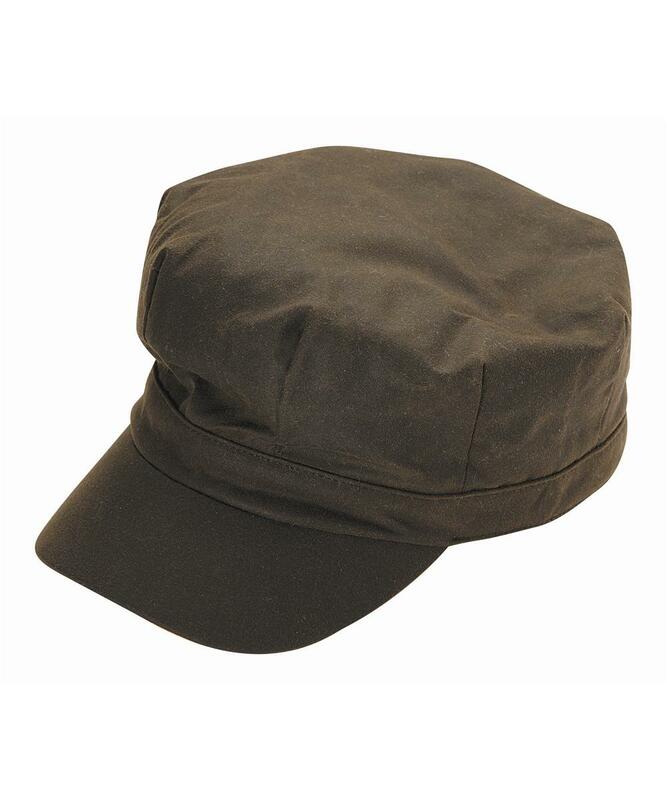 I need a hat/many hats as I have hair that does not like the wind or the rain and I’m always cold. 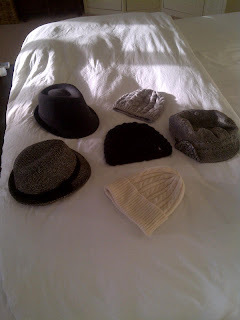 I get ready each morning, do the school run and end up looking like a scarecrow for the rest of the day – so I really am in need of a hat/many hats to hide the straw hair. I also have a problem with hat hair … what do you do? 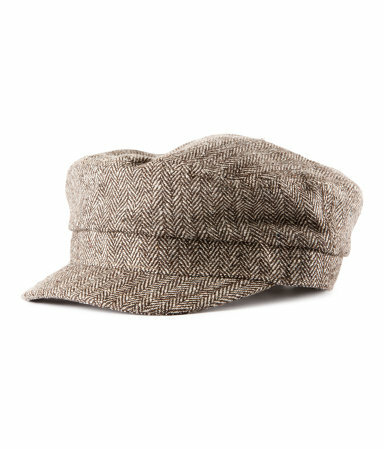 I wear mine for the morning school run, get home and take it off and I either have a nice rim around my hair where the hat has been or it’s static and fly away with NOTHING to be done other than stick the hat back on for the rest of the day! Here's me in my hats (actually what I've seen from these photos is the beanie hats look better than the structured trilby or baker style hat - I never knew that prior to taking these photos!). Maybe it's because the grey beanie (which I've always hated as it sits TIGHT on my head) goes best with what I'm wearing? 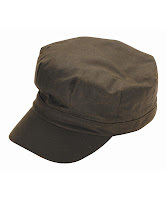 If I had a more formal outfit on then perhaps the trilby would look better? 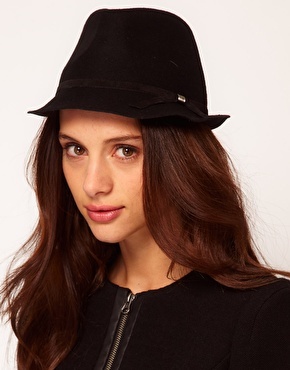 So onto hats I want to buy and if I could look as good in them as the model does then that would be a bonus! 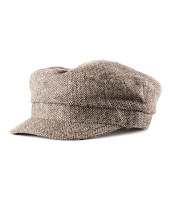 This isn't dissimilar to the one I own but I think mine is too small for my head - I love the style of this (and mine) but I think I need a bigger version like this one. I love everything about this - style, colour and the feather detail .. what a bargain too! On this model it looks cool, trendy and funky .. on me it would look too big for my head and not quite so 'casual' even though styled. My cream one is a bit big and it just points upwards making my head look even longer than it is .. perhaps a less structured beanie like this one is the way forward? I've seen so many women at the school gate in these and each one looks amazing - I am seriously tempted by this style for the season ahead. It's waterproof and stylish - win win. 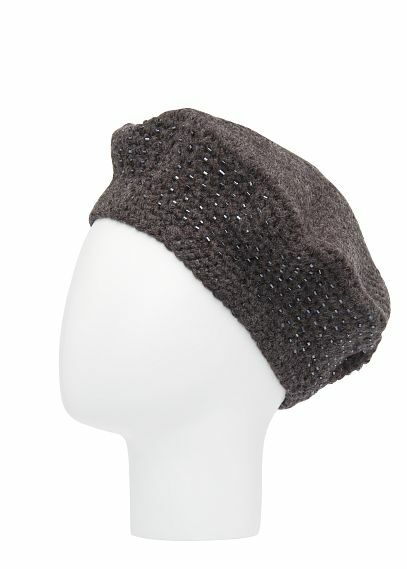 My friend with the most amazing face and hair wears these all the time and looks so chic (Parisian) - I would be wearing a hat for practical reasons (it's raining and/or it's cold and windy) - this hat would serve no purpose other than looking stylish (and perhaps keeping you a little warm with good ear coverage). I am rendered speechless at how gorgeous this looks with the scarf .. or is it my girl crush on the model? My black beanie had an over sized bobble on it last week but I figured I look clown like so I snipped it off. Perhaps I shouldn't have and then I could be a hat twin for this picture. I love this so much I am going to buy it! It comes with matching gloves for another £5 too - I do love to make a prat of myself at times and with this hat and matching gloves I can do that AND keep warm! Oh and don't you know Christmas is coming and it's the perfect time to be gearing up for novelty clothes - watch this space .. novelty clothing blog post coming soon - hoorah! However, even though I like to play the fool once in a while you will not ever see me in this ever - if it looks this bad on the gorgeous model what hope is there for us normal folk? I'm a beret fan! 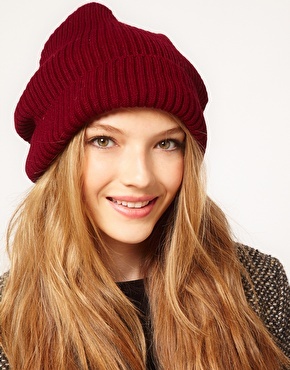 (as you will have seen on A57) I have a very round face, and a beanie type hat just emphasises this. If you fancy giving it a go then they are definitely warm and cover up your ears, so I would say no less practical than a bobble hat really! I love the idea of a beret and you rock the look but you have gorgeous hair - I'd be wearing a hat to COVER up my hair!!!! I may see if I can wear one .. the last time I tried it looked like a flat piece of material randomly perched on my head!